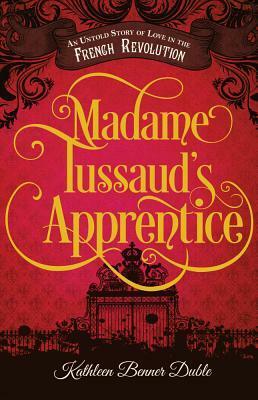 Now I have to admit when it comes to reading, historical fiction isn't high on my list of favourites however when I was offered the chance to review Madame Tussaud's Apprentice by Kathleen Benner Duble, the blurb had me intrigued…. Celie Rousseau is a talented young artist who, along with her partner Algernon, resorts to petty thieving on the streets of Paris to survive. It is 1789: rumours of rebellion against the monarchy are starting to spread in the capital, and the two of them get involved in the idealistic revilutionary fervour. But when she is caught stealing from the brother of the King himself, Celie is saved only thanks to her drawing skills and the intercession of Marie Tussaud, the famous waxworks artist and favourite at the French court, who decides to employ her. Suddenly Celiefinds herself whisked away from the tumult of Paris to the safety and opulence of Versailles. This raises a difficult moral dilemma for the young lady who had until recently dreamt of overthrowing the very people who now treat her with kindness: should she compromise her ideals and risk losing Algernon - whom she loves - or should she stay true to the cause of the poor and the revolution? This tale is interesting. As you gather from the blurb it follows the story of Celie, this is a young girl who has lost all of her family due to the King's brothers orders, luckily for her the noble Algernon appears if by luck, at the right time to save her. Ok their life may not be perfect, they've resulted to petty theft to get by and yes they are living on the streets but they have each other and the thoughts of revenge against those that have done them wrong. You get sense immediately that there is quite a bond between the two of them and you know that romance will be an undercurrent within the book. However things begin to change when Celie is caught trying to steal, worse still the person who catches her is none other than the Kings' brother. Saved only by the famous Marie Tussaud because of her artistic ability, Celie gets to experience life from another perspective. Clean clothes, fresh food and a warm bed to sleep in, would living this life really be so bad? All the events take place during the French Revolution which if I'm honest is something I didn't know a lot about so I felt I was learning as I was reading. I've read other reviews complaining, saying more historical detail was needed but the actual revolution wasn't the main premise of the story so I felt the facts that were mentioned were enough. Both the facts and the fiction complimented each other well and made the words put together flow with ease. The mix of romance, misfortune and rebellion was just right and I felt as though I was there, routing for Celie to make the right decisions. Kathleen managed to show that whilst such a bad event was errupting there were still good, honest people around, going on with their lives despite such a bad situation. I really feel for Madame Tussaud and what she endured. Overall I was impressed. This was a novel that managed to get me interested in history, events in the past that I would have otherwise known nothing about. Historical romance with morality, a must read.